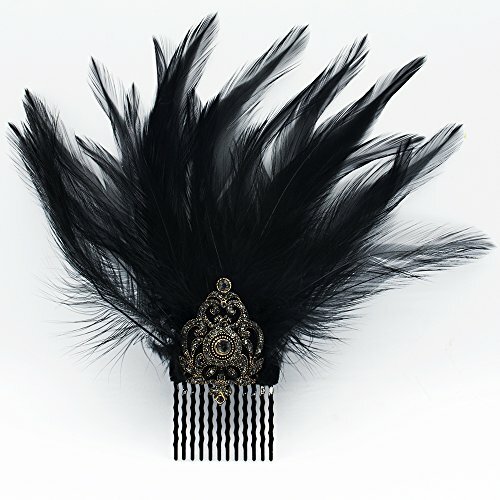 This fascinator hair comb slide accented with black feathers will be a statement piece for your outfit on any occassion. Bridal Hair Comb Vintage Victorian Wedding Hair Comb Bridal Jewelry Pearls Leafs Rhinestone Bridal Hair Accessories Art Deco Shabby Chic. Antique LARGE Celluloid Peineta Mantilla Victorian Hair Comb Carved 75 Years Ago + w/ Large Antique Shell Cameo Surrounded Bronze Seed Beads. One of a Kind!